For the past few seasons there’s been little activity going on at the Etihad in the month of January. Gone are the days of the last minute signings of Shay Given and Adam Johnson, with Manuel Pellegrini and the rest of the ‘noisy neighbours’ sleeping easy as the world, Twitter and Sky Sports News goes crazy. 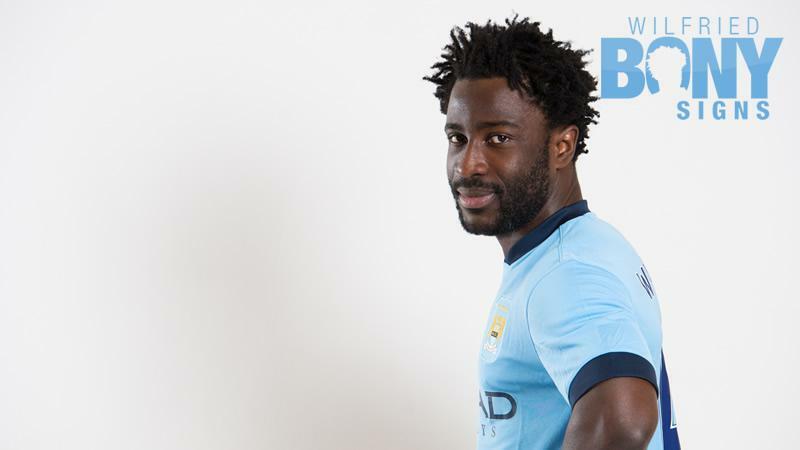 In fact, even the signing of Wilfried Bony went without drama. Manchester City have become shrewd in the market and they’re championship winners for it. 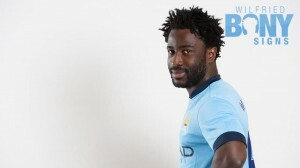 The move of Bony was of course a welcome addition to the squad with limited options in attack at the moment. He’s banged in nine already this season for Swansea and was 2014’s top scorer in the Premier League – ahead of even Sergio. So he’ll be the perfect partner for the Uruguayan. At View From a Blue, it’s certainly thought so. Teaming up with Sky Bet’s Transfer Trends, editor Steven shared the side he would like to see lining up following the window with Bony right alongside the man who’s netted 21 times for the Blues already. It looks a feared line-up for City, and with Paul Pogba looking set to leave Juventus at the end of the season, come this time next season the starting eleven could look like exactly that. Of course, Sheikh Mansour will have to stump up a serious amount of cash, especially with Barcelona, Real Madrid, Chelsea, and the circus going on at Manchester United in for the Frenchman. That’s not to mention the rest of the rumours and gossip that will fill the back pages over the coming months. In the last few days alone Transfer Trends – a tool which collates gossip from leading publications and influential journalists in football – has linked Dani Alves and Danny Ings to the club, and as the summer approaches the feed is only going to get busier. Eyes must remain firmly on the pitch though. Bony, should Pellegrini use him in this formation, could be pivotal in City regaining the title using his strength, height, and power to support Aguero, no doubt netting a few for himself along the way. We’ll see over the next few months how well he beds in. He’ll need to with Jovetic and Dzeko being someway off the pace this season, with the Montenegrin international even being dropped from the Champions League squad ahead of Bacary Sagna. He’s got Barcelona, where City could really assert themselves in Europe, as well as Liverpool, Manchester United, and Spurs before the end of the season. Make his mark in each of those and he’ll be on half-way to becoming a semi-legend in just a few months. I’m expecting big things from Mr bony what’s the story with the big Nigerian lad? Is his permit sorted out? There’s maybe 5 players needed over the summer… If we’re going to be ” very serious” about our signings I would move the earth to get stirling, alba, pogba with Stefan for swap etc & maybe two more… Probably a little unrealistic at the minute but we must not shy away from the top brass.. Bergeristen needs to be looking at that level of player, of course ffp might be an issue also, we do have good players to trade” on a side note.. V.k “form” is a big concern for me. The league is no were near over. I don’t think that Chelsea are uncatchable or outstanding, they can be got at. We need to win at anfield – that will be vital. We need stoke again + 30% on top. Play with less “thinking” & more instinct & aggression/arrogance. Blue Moon you say me standing alone….